For she who smiles rather than rages is always the stronger. Welcome to Peace of Body! This is the beginning of a creation I've had in mind for a long time. I've always wanted to hold a sacred space where anybody could come to fully unwind from their day to day rituals. I believe in the importance of honoring our own bodies, physically, emotionally and spiritually and this is why I take my skills and training seriously. I aim to help with any number of ailments. 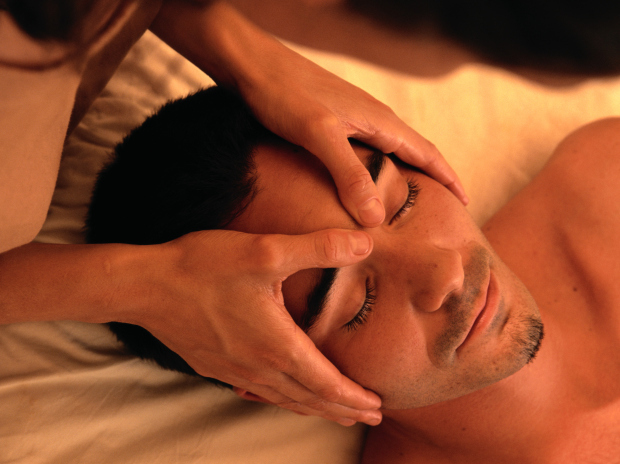 A gentle and thorough Swedish massage will bring your nervous system back into it's optimal state of rest. A detailed therapeutic massage can start the journey to correct postural disorders, and a lovely warm bamboo fusion session is just what is needed when your body goes through the standard abuse and over-use from daily life. You can find me in the lovely little town of Erdenheim, which means earthly home. I am renting space inside the Healing Center in, a large brick building with ample parking space. I have hours available all day Friday and Saturday with the aim to add more shortly. I am always advancing my skill set and honing the ones I currently have by sought after continuing education courses like Advanced Myoskeletal Alignment among others. So jump on over to my book now page and see what my hands can do for you! I hold certification in a beautiful technique called AromaTouch. This session includes application of pure essential oils in combination with zone therapy for a deeply relaxing session that leaves you melted into the table. Meghan Shupp L.M.T. has successfully graduated a 900 hour program in the sciences, theory, practice, and application of Therapeutic Massage with a concentration in Neuromuscular Therapy and Condition-Specific Massage. I appreciated Meghan's flexibility and quick response with scheduling. Her skill regarding the Swedish massage met my needs, but I could have used more pressure. Super professional, relaxing and rejuvenating, great convenient location. Megan was professional and very therapeutic. Megan is a very skilled masseuse and uses just the right pressure for me. She knows the body mechanics well and recommends stretches. The room where the massage is accented with items to make it feel peaceful and nice, but the building and the waiting room are different than a spa experience. I prefer a skilled masseuse over the upscale feeling so I am ok with it! Meghan is truly talented and I will surely be recommending Peace of Body to others! It was a great experience. It was the most relaxing massage I've ever had. Special attention was given to my problem areas and I felt amazing afterwards! Thank you!! It was a lovely experience & sure it did my body a lot of good. The room is so pleasant & the hands so strong. A wonderful massage - Meghan has great hands.